Possesion Handover for Overseas Enclave Rawalpindi Sectors 1-6 has started. Overseas Enclave Rawalpindi is developed in flourishing surroundings of scintillating vicinity close to Bahria Homes & DHA Islamabad where thousands of families are enjoying an idyllic place for lavish lifestyle. 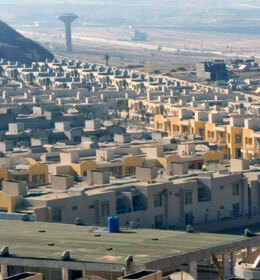 Overseas Enclave Rawalpindi can easily be compared with facilities provided in housing societies of America and Europe. For residents of Overseas Enclave Rawalpindi, these lifestyle facilities will be a completely new experience and these facilities are unmatched in Pakistan. Overseas Enclave is offering all amenities to give the finest expression and you would find your life attaining the new dimensions of highest standard living. Extensive road network, Bahria Town’s own grid station, all managed security & maintenance system, will ensure comfortable and uninterrupted lifestyle with elegance. Surrounded by open spaces, garden areas and backdrop of lake gives ideal place for the luxurious homes in Rawalpindi. Overseas Enclave is at few minutes drive from Toyota Rawal Motors, GT Road Rawalpindi. Road network exclusively connected with DHA Islamabad Phase-1 and the proposed new ring road and 2 new highways south of the site will further give easy access to the residents at Overseas Enclave. Overseas Enclave is close to all amenities and is giving maximum expression of residential development including 18-hole USGA standard Butterfly Valley Golf & Country Club. It is also connected to other Phases 7, 8 & 9 of Bahria Town Rawalpindi by 210 ft wide Expressway.